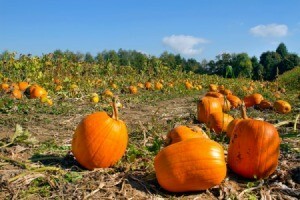 A trip to a local pumpkin patch is a great way to spend the day and pick out just the right pumpkin for the holidays. 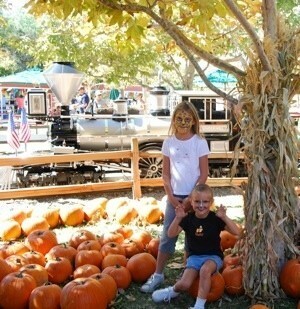 This is a guide about pumpkin patch locations. (Originally posted 10/2007 - Updated 8/27/2009) Here are some links to a few pumpkin patches. 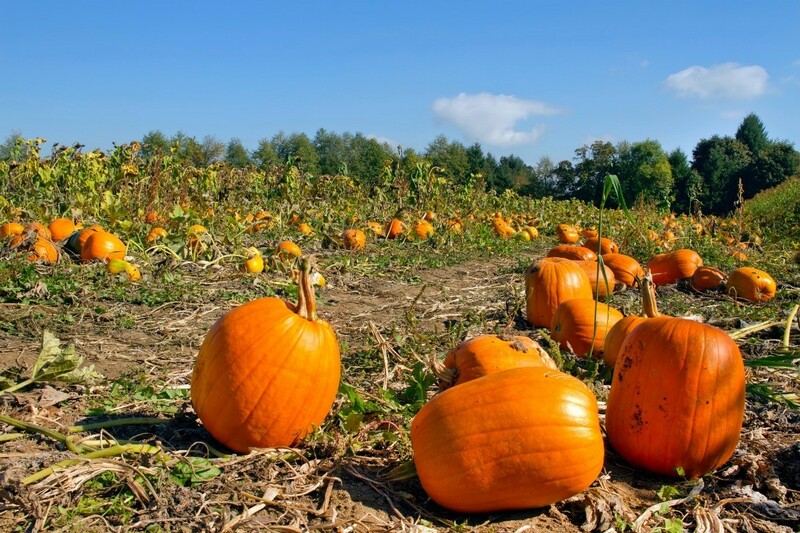 Pumpkin Patches are great not only for pumpkins but other fall crops as well. If you have one near you, please post it in the feedback and we'll add it to the list. We went to one last year for my grandson's birthday and had a blast! 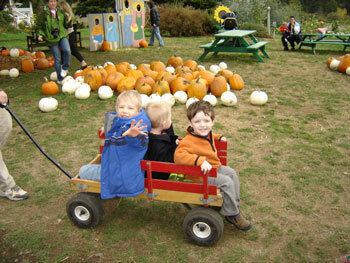 Irvine Park Railroad's 4th annual pumpkin patch is fun for the entire family! 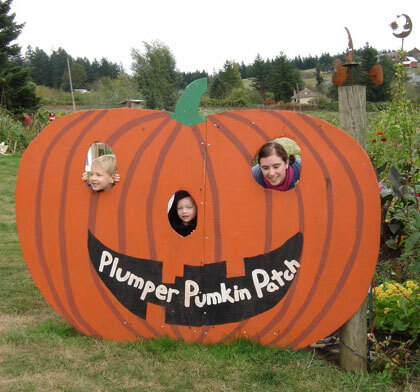 The pumpkin patch is open daily at 10:00 am beginning September 19th through November 1st. Irvine Park Railroad is centrally-located in Orange County, CA. Activities include: Train rides, hay rides, a haunted house, a hay maze, pony rides, a moon bounce, carnival games, face painting (weekends only), picture stands, great food and The Orange County Zoo. Admission is free; prices for other activities vary. Visit the web site for complete details, pricing, directions and photos from last year's event. No doubt there are many, many more. This was all we had time to find. If you would like to recommend one in your area or if you own a pumpkin patch, post it below. We spent several hours petting animals at the petting zoo, sending rubber duckies down some water chutes, playing in the playground, going on a hayride, riding ponies, watching pumpkin hurling and hurling a few, and going through all the mazes and of course, picking out some gourds and pumpkins. For only $3 dollars per person we got to participate in numerous activities. It was a fun and frugal birthday party. It was a fun place to go on a cloudy autumn day. They have a pumpkin throwing Trebuchet (catapult) and a pumpkin air cannon which sends small pumpkins hurling towards some targets many hundreds of feet away. They also had fixed slingshots which the kids used to hurl pumpkins. The patch is 62 acres in all and includes a corn maze and two hay mazes. 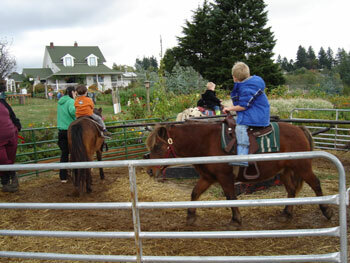 One hay maze is short for little ones and the other is larger for adults and big children. Luckily when going through the hay maze I had a little tour guide nearby. She was just one of the visitors to the patch who took me under her wing. She kept me on track by telling me "no not that way, it's a dead end" and "go right", so there was no chance of getting lost. There are plenty of pumpkins of the regular and more exotic varieties to buy, plus gourds, dried ears of corn for decorating and small bales of hay. My 3 grandsons (Beck in blue coat, age 5; Quinn, age 3 in orange coat and Ethan, the birthday boy in the navy blue coat, age 3) and the rest of the family had a great time. 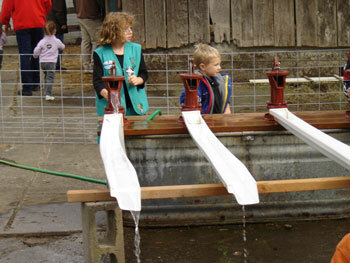 If you are near Hillsboro, it is a fun day trip. If not, many places have pumpkin patches at this time of year. If you have a good pumpkin patch in your area, post its location in the feedback section so others in your area can know about it. For dessert we made the Googly Eyed Cake that we recently published on ThriftyFun.